Welcome to Forest Cover No. 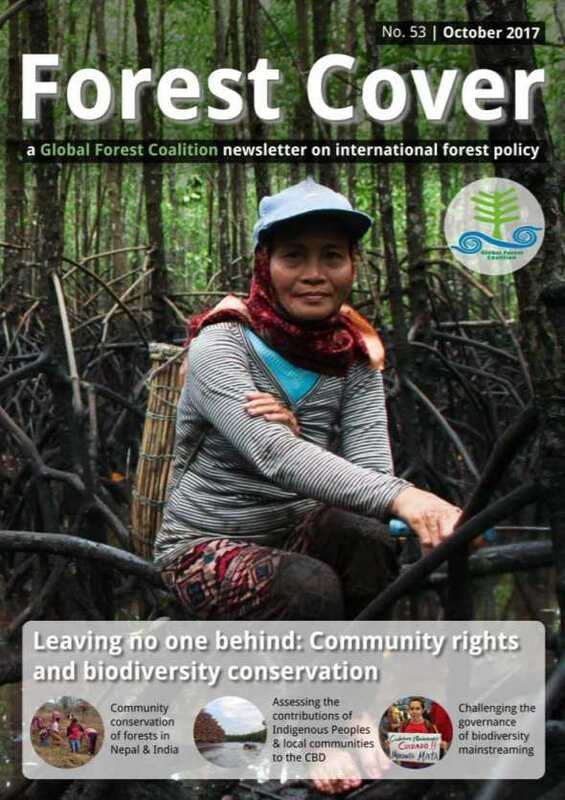 53, the Global Forest Coalition newsletter that provides a space for Southern and Northern environmental justice activists to present their views on international forest-related policies. In this 53rd edition of Forest Cover, published in the run-up to the Convention on Biodiversity’s December discussions on biodiversity conservation and the Sustainable Development Goals, we focus on why it is critical that no one is left behind, which has been chosen as Agenda 2030’s central theme. When it comes to intergovernmental and national efforts to conserve biodiversity and related sustainable development goals, little attention has so far been paid to the valuable contributions made by Indigenous Peoples and local communities, especially women. After all, most degraded areas are located outside their territories. In this issue, we look to Indigenous Peoples and communities around the world—including in Ghana, Kenya, India, Malaysia, Nepal and Tanzania—and their wealth of knowledge and experience about how to conserve the world’s natural riches and use them sustainably. These examples show that recognising their rights to access and use biodiversity is fundamental to achieving the objectives of related policy instruments such as the Convention on Biological Diversity (CBD), the UN Framework Convention on Climate Change (UNFCCC) and the Sustainable Development Goals (SDGs). Fostering Indigenous Peoples’ and local communities’ rights and resilience are fundamental to successful biodiversity conservation. You can download the print version or read the articles individually below. To subscribe to the newsletter, please write to gfc@globalforestcoalition.org.